CELEBRATE VALENTINE’S DAY WITH SKECHERS! 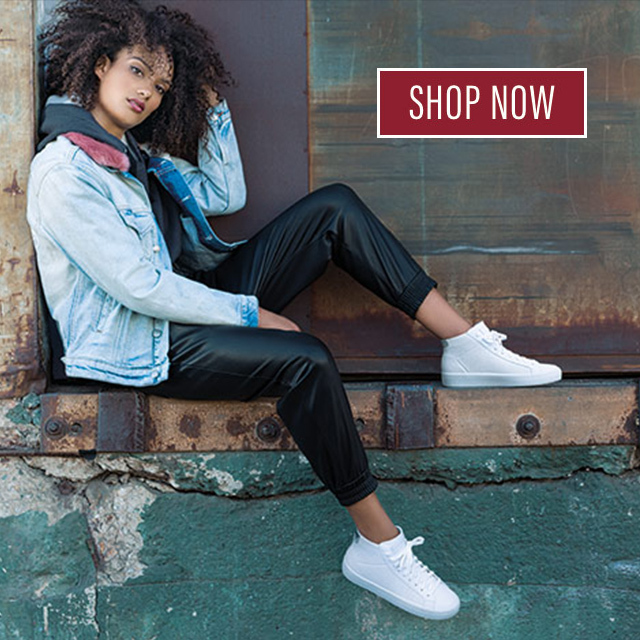 At SKECHERS, we see Valentine’s Day as a holiday of love and friendship: a chance to celebrate everything from classic romance to beloved friends and family. Most of us are familiar with the day’s iconic red, pink and white hues… but have you ever wondered what they all mean? Read on to learn more about each of these shades, and see how these colors can be a perfect fit when styled up in a new pair of SKECHERS! RED: Famous for romance, this shade is the top pick for swooning couples, and is always wiped out at florists, chocolatiers and stores come February. While some argue that the red rose was a favorite of goddess of love Venus, everyone agrees that this warm and vibrant shade is known for its passion, energy and excitement. RED style tip: complete your look (and turn heads) with SKECHERS Cali Club: a bold statement that will make you stand out, all day long. PINK: While red is sensual, pink actually gets the award for enduring, unconditional love. Thoughtful and caring, pink is an affectionate, gentle shade known for happiness, tenderness and gratitude… positive and inspiring. PINK style tip: embrace true love with SKECHERS Flirty – Wink: a soft stretch wedge with a sweet boost. WHITE: It’s the ultimate shade of innocence: nothing evokes a sense of peace and calm like white does. Its beauty lies in its purity: so simple, it awakens the senses. WHITE style tip: step out in SKECHERS – EX Flex 2 – Sweetpea: a woven crocheted casual that’s easy on the eyes (and your soles). Have your own favorite shade for Valentine’s Day? Tell us in the comments!